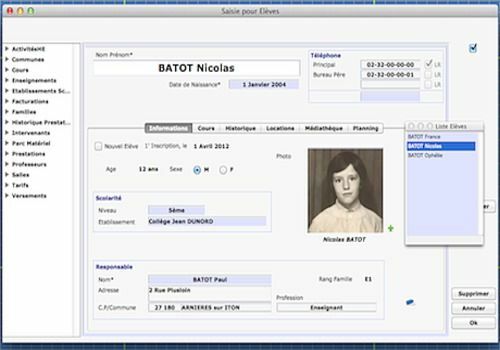 WelcoeM is the all-in-one and completely free solution dedicated to the management of conservatories and music schools (dance, theatre) running on PC and MAC. WelcoeM celebrates its 20th anniversary in 2019, in constant evolution, it is used by many structures. The flexibility of the software allows in a pleasant and ergonomic interface to configure it according to needs. Administrative management of families, students, teachers, juries and other persons related to the structure. Organisation of courses, exams, evaluations or auditions. Recording of absences and remote evaluations for teachers by computer, smartphone or tablet. WelcoeM operates as a single workstation with the possibility of data synchronization. A software for teachers developed by a teacher. It allows you to manage the students' marks.